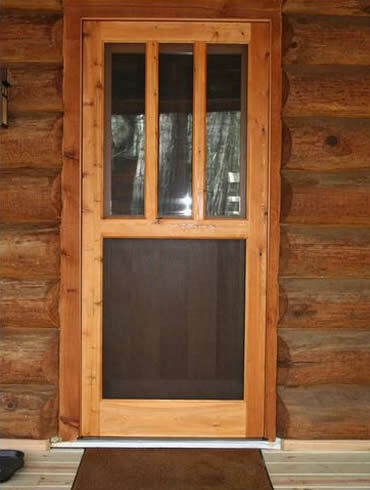 Why settle for an ordinary screen door for your camp or cabin, when you could have a genuine solid wood screen door that enhances the rustic character of your property? 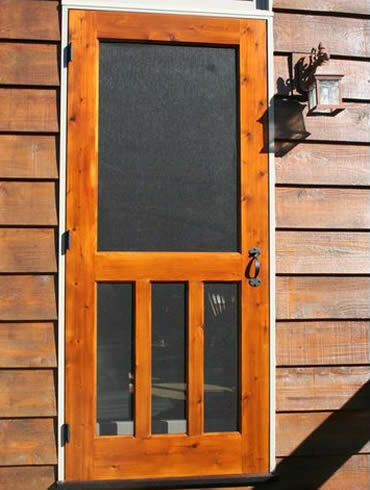 Our handmade wooden screen doors are crafted from the finest solid Western red cedar and top quality screen for superior durability and weather resistance. This wood is fairly light yet strong, so it will hold up for decades even under camp conditions. We have several custom screen door designs available, or speak to us about creating something unique just for you. We ship screen doors to any location in the continental United States. 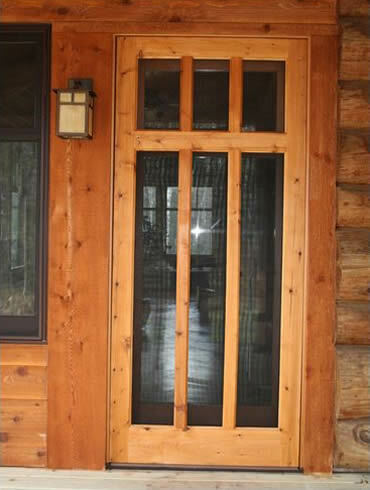 Ready to explore custom wooden screen door possibilities to complement your home, camp or cabin? For more information about the custom screen door you are interested in, or to speak with a Turtle River Millwork design specialist, contact us here.